Select one of our hosting packages to start your mojoPortal 2.6 site. All of our hosting packages fully support the ability to host mojoPortal 2.6 sites. Why you wait longer? We are 100% fully support on windows platform. 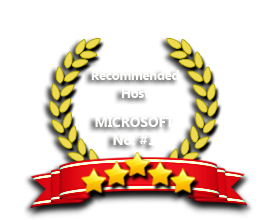 Our windows hosting is compatible with the mojoPortal 2.6 hosting management and collaboration application. Our Windows Cloud Hosting fully supports mojoPortal 2.6 hosting. You are more than welcome to try our Free Windows Cloud Hosting before you decide to buy. You can get your Free Cloud Windows hosting account up and running within the next few minutes.